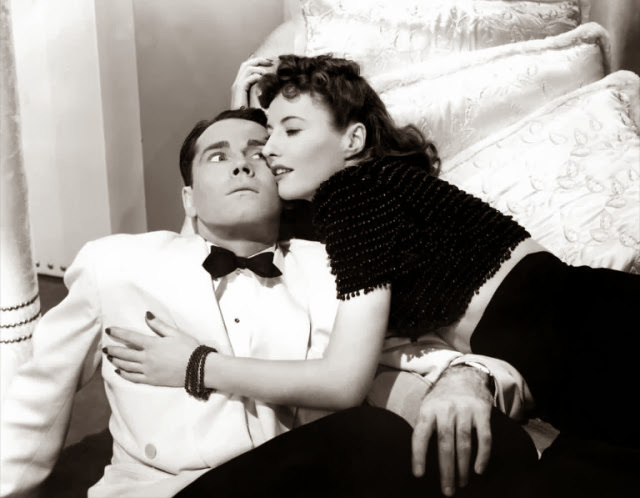 Regularly appearing on critics and filmmakers’ roll call of great movies (including Paul Schrader’s in the 2012 Sight & Sound Poll) The Lady Eve remains an enduring classic. Made by Preston Sturges in 1941, at the low ebb of the screwball comedy era and the opening rumblings of film noir, the film stars Barbara Stanwyck as Jean Harrington, a slinky card shark who cynically shakes down naive rich men with help from her conman father. When Henry Fonda’s Charles ‘Hopsy’ Pike boards the same ocean liner after spending a year in the Amazon studying snakes, Jean and company find themselves rubbing their hands together with glee; Hopsy is particularly wealthy, and particularly clueless. Things inevitably grow complicated when Hopsy falls utterly in love with Jean – and in spite of herself – she with him. When Hopsy discovers her dishonesty, Jean is forced to use her cunning to find a way of winning him back. Sparkling with eloquent wit and well-timed slapstick, Sturges found himself with a critical and commercial success on his hands. Indeed, Sturges was one of the most prominent comedy directors of the 1940s, and remains today a well-respected figure, famous for the good-natured progressivism of his writing (Sturges, after all, began work in 30’s Hollywood as a screenwriter). The screwball comedy has always been a gender-bending genre, its light-hearted ‘battle of the sexes’ trope allowing filmmakers like Sturges and George Cukor to broadly satirise widely-held notions about love, relationships, and gender. Actresses like Katharine Hepburn and Rosalind Russell popularised the chatty, bright, educated career woman in the movies, often challenging masculine roles and positively usurping their male counterparts in spirit, wit, and joie de vivre. As one critic notes, such films are an ‘embodiment of some of the precepts of the feminist movement […] reflecting the screwball comedy’s everlasting insight that women catch on faster than men.’ One only has to witness Bringing Up Baby’s Cary Grant made positively ridiculous in a lady’s feathered dressing gown to recognise the potentially subversive qualities of the screwball genre. Read the rest HERE at Kubrick on the Guillotine.